Paper (1, 2, 3) - 3 hours, Paper (4) - 2 hours 30 minutes, Paper (5, 6, 7, 8) - 1 hours 30 minutes, Paper (9, 10, 11) - 2 hours. Paper (1, 2, 3) - 150 MCQ's, Paper (4) - 100 MCQ's + 2 Drawing Question, Paper (5, 6, 7, 8) - 75 MCQ's, Paper (9,10, 11) - 100 MCQ's. Paper (1) - PCM, Paper (2) - PCB, Paper (3) - AG, Paper (4) - M,AS,DA, Paper (5, 6, 7, 8, 9, 10, 11) - Aptitude. Correct Answer: [+] 4 marks. No Negative Marking. Paper (1, 2, 3) - 600 Marks, Paper (4) - 500 Marks, Paper (5, 6, 7, 8) - 300 Marks, Paper (9, 10, 11) - 400 Marks. The authorities of AKTU will release the UPTU 2019 exam pattern for candidates appearing along with the information brochure. To know information like a number of questions, to marking scheme followed, candidates will have to follow the exam pattern of UPSEE/AKTU/UPTU 2019. Candidates can refer to the complete exam pattern of UPSEE/AKTU/UPTU 2019 from the full article given below. Selecting: (UPTU/ AKTU) UPSEE 2019 will be conducted for eleven papers with objective multiple type questions except Drawing Aptitude test (Part B of paper 4). The candidates are required to opt papers and subjects for appearing in the UPSEE/AKTU/UPTU 2019 entrance examination. Examination Mode: Paper 1, Paper 2, Paper 3 and Paper 4 shall be OMR based Test. Paper 5, Paper 6, Paper 7, Paper 8, Paper 9, Paper 10 and Paper 11 will be Computer Based Test. Marking Scheme: The candidates will score (+) four marks for every correct answer in all the objective type questions. There is No Negative marking in (UPTU/AKTU) UPSEE 2019 Examination. 50 objective type questions will be asked each of Physics, Chemistry, and Mathematics with a total of 150 questions. 50 objective type questions will be asked each of Physics, Chemistry, and Biology with a total of 150 questions. 50 objective type questions will be asked each of AG-I, AG-II, and AG-III with a total of 150 questions. 50 objective type questions will be asked each of Mathematics and Aesthetic Sensitivity with a total of 100 questions and Two questions to test drawing aptitude. All objective type questions are required to be answered with respect to the question number. The candidate is supposed to select only one choice for the correct answer to each question. Every objective multiple type question would carry four marks for each correct answer. More than one answers indicated against the question will be deemed as incorrect answer and no marks are awarded for the UPSEE/AKTU/UPTU2019 incorrect answer. There will be no negative marking in UPSEE/AKTU/UPTU 2019. However, a record of incorrect answers given by a candidate will be kept separately for the purpose of creating merit list. Answers in OMR based UPSEE/AKTU/UPTU 2019 examination (Paper 1, Paper 2, paper 3 and Paper 4) are to be marked using ballpoint pen (Black / Blue) only. For the purpose of evaluation in these papers, the details filled in by the candidate in the OMR answer sheet will be treated as final. Answers in Computer-Based UPSEE/AKTU/UPTU 2019 examination (Paper 5, Paper 6, paper 7, paper 8, Paper 9, Paper 10 and Paper 11) are to be selected by clicking on the option displayed on computer screen. Multiple answers are not accepted and after the completion of one section candidates need to click on submit button. 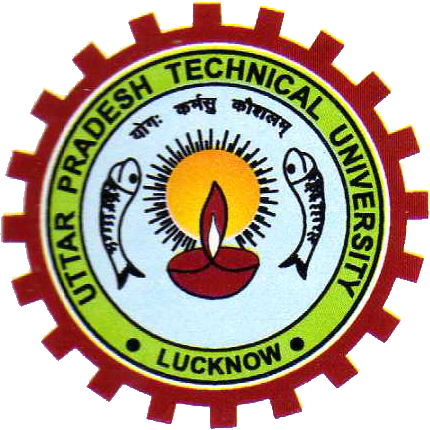 PSEE/UPTU exam will be held for twelve papers. The examination will be held offline and candidates will have to mark answers on their OMR sheets. The questions will be multiple choice and will be asked on Physics, Chemistry, and Mathematics, based on the syllabus. The examination can be taken in English or Hindi. The examination can be taken in English or Hindi. There will be 50 questions in each subject of four marks each and there will be no negative marking for incorrect answers. What is the UPSEE 2017 exam pattern for the B.Tech course? In how many languages will the UPSEE question paper be printed? The UPSEE question paper will be printed in English or Hindi. Are there any multiple choice questions in the UPSEE exam? There will be only multiple choice questions in the UPSEE exam. Candidates will have to mark answers on their OMR sheets. May I know in which level the UPSEE-2017 exam will be held? Uttar Pradesh State Entrance Exam (UPSEE 2017) is a state level entrance exam organized by Dr. A P J Abdul Kalam Technical University (AKTU), Uttar Pradesh. what will the mode of examination? the mode of examination will be offline. candidates have o attend examination in respective examination centre. How much is the negative mark in the exam?